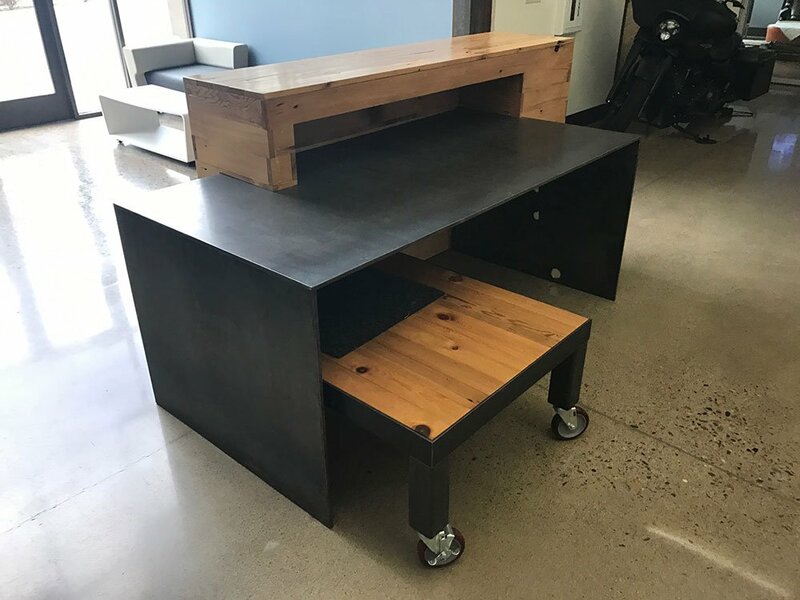 If you are looking for that “perfect desk” for your office, and nothing seems to fit what you have in mind, we can custom make it for you. 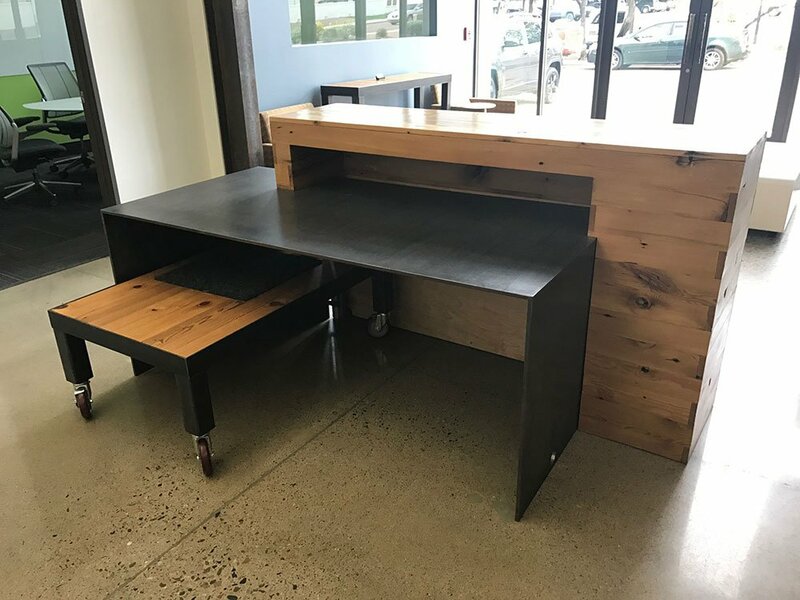 Although we love our selection of pre-made office furniture, we understand that it does not fit every situation, this is why we offer custom furniture steelwork. 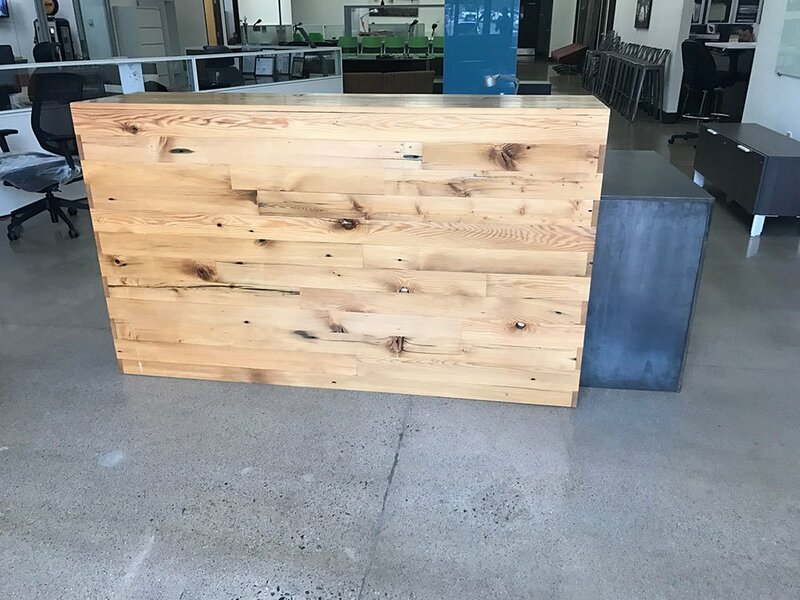 Here are a few pictures of a custom steel and wood reception desk we made for a Scottsdale, Az office. Get the perfect desk for you and your office. Contact Precision Installation at: Call 480-968-9481 of send us an email here!